Change lives in Guatemala by building houses for families in need! 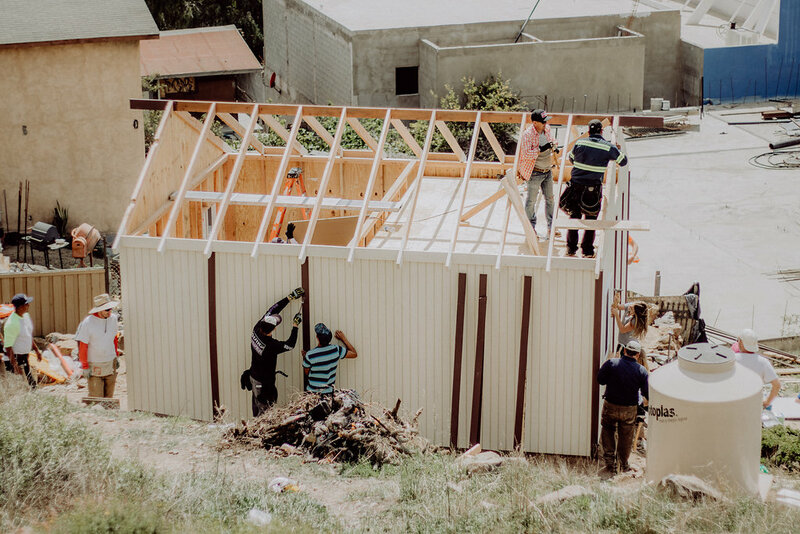 We partner with Catalyst Resources International to build houses for Guatemalan families. The cost of building a 20 x 20 square foot three-room house made of pinewood (with a concrete foundation) is $3,920. This cost will be split among your team members. This cost includes a construction leader, two twin beds and mattresses, two windows, a wood door, a water filter, a table and chairs for four people, cups, glasses and plates, a broom, dustpan, garbage can and clothes basket. Additionally, a stove can be added for $168, and bathrooms (including septic tanks) can also be added for $1,320. Teams of 4-8 people with little or no construction skills will complete this home in 3-4 days. Work as a team and see the immediate impact of your work. Changes lives internationally by meeting practical needs.